Adobe has confirmed that its Chief Technology Officer Kevin Lynch is leaving the company and will be joining the ranks at Apple in the near future. 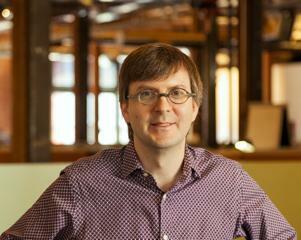 Kevin Lynch, Adobe CTO, is leaving the company effective March 22 to take a position at Apple. We will not be replacing the CTO position; responsibility for technology development lies with our business unit heads under the leadership of Adobe CEO Shantanu Narayen. Bryan Lamkin, who has recently returned to Adobe, will assume responsibilities for cross company research and technology initiatives as well as Corporate Development. We wish Kevin well in this new chapter of his career. Update 2: Apple spokesman Steve Dowling confirmed the hire to AllThingsD, saying that Lynch will join Apple as vice president of technology. In his new role, Lynch will report to Apple's Senior Vice President of Technologies Bob Mansfield, who oversees Apples wireless and semiconductor teams. A tweet sent out by CNBC reporter Jon Fortt was first to mention the rumored move, with a follow-up tweet claiming the departure will occur later this week. According to his profile on Adobe's website, Lynch joined the company when it acquired Macromedia in 2005 and currently oversees Adobe's Research and Experience Design teams. The executive is also known to have been a strong proponent of Flash and was one of the louder voices criticizing Apple's ongoing quest to deprecate the software from the Mac platform. It is unclear what position Lynch will take at Apple, though recent management stir-ups, including the ousting of former iOS chief Scott Forstall, have left a number of posts open. Apple has yet to issue a statement regarding Lynch's move.